Episode 9 of The Last Hurrah is now online! You can click the picture above to listen! 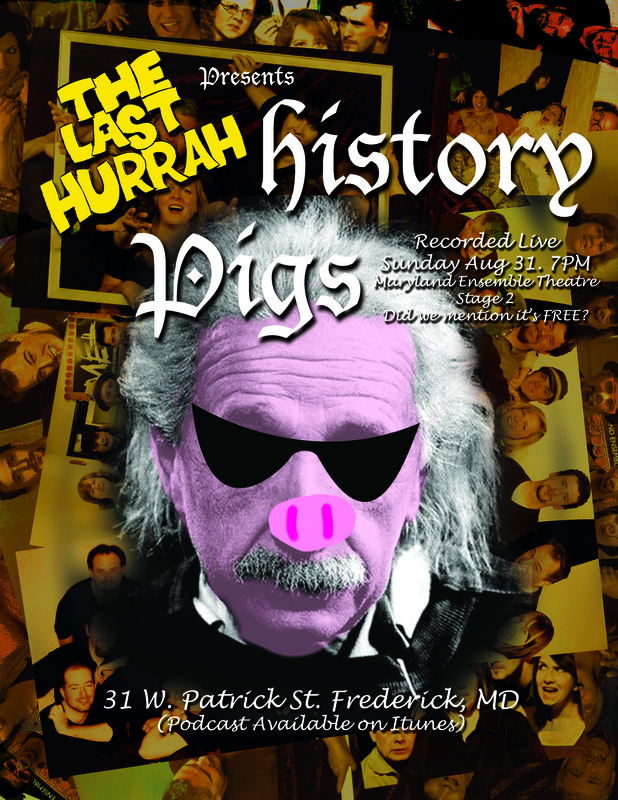 Capping of the Comedy Pigs 2nd Annual 20th Anniversary Weekend, Kevin Cole met with Comedy Pigs’ founder Tad Janes as well as fellow Pigs Gene Fouche, Laura Stark and Anne Rough to look back at the history of Frederick’s longest running Improv group. Please support the show by subscribing and reviewing the show on itunes and join us Sundays at 7pm at the Maryland Ensemble Theatre.